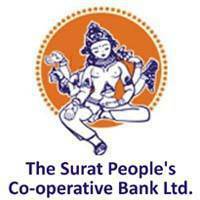 The Surat People's Co-operative Bank Limited has Published Recruitment Advertisement for Assistant General Managers Posts. View More Details About This Recruitment Including Total Posts, Posts Name, Educational Qualification, Age Limit, Salary, How to Apply etc. are Given Below. Educational Qualification : CAIIB Post Graduate Degree / Double Graduate Degree / Post Graduate Diploma from any Recognised University. Position / Experience : The Applicant shall have at least 10 years of Experience of Working at the Middle / Senior level in Banking Sector. Knowledge of Computer & Digital Banking would be Preferred. How to Apply : Interested and Eligible Candidates can Apply Online Through Official Website.